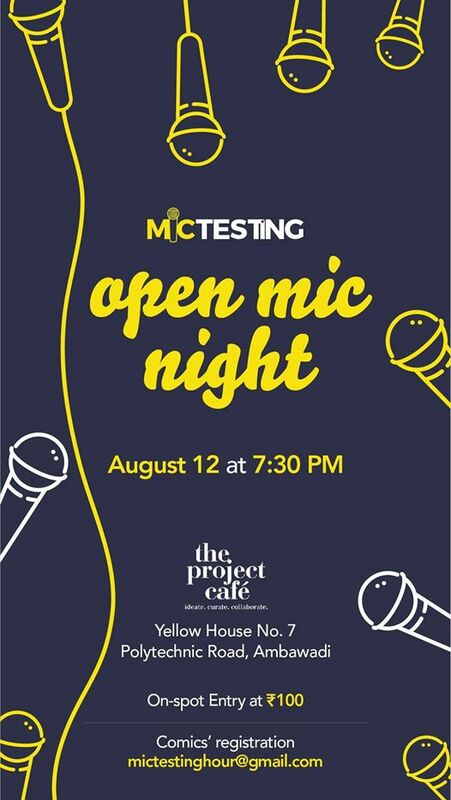 The Project Open Mic at The Project Cafe. An Open Mic is an event where anyone and everyone can register and try their hand at standup comedy and comedians can try their new content. Come watch the budding comedians of Gujarat and support the comedy scene. Chirayu Mistry will be hosting this open mic.